Without a doubt, an expatriate assignment will have an impact on both the physical and mental health of an employee and their family. By nature, the process of moving from a stranger in a strange land to becoming "at home" in the host country, to coming "back home" again, is a journey that runs the gamut of emotions from exciting and thrilling to scary and challenging. Expats take on the assignment challenge for money, career experience, the joy of discovery and numerous other reasons. There are many benefits to expat living. New perspectives are gained, new friendships and relationships are born, and a truly global mindset can be developed from the experiences of an expatriate assignment. "I don't like being financially dependent on my partner"
"I still need to adjust to the work environment"
"My partner/family aren't happy here"
Again, according to the same report, there was a study conducted jointly by U.S. researchers Chestnut Global Partners and the Truman Group, that revealed that expats face a higher overall risk of mental health problems, "including internalizing and externalizing problems, and substance use disorders. More broadly, the study found that more than 50% of the expats in the study were at high risk for internalizing problems (such as anxiety and depression), a rate 2.5 times that of their home-based counterparts. The study pointed out that expats have rates of assignment failure that range from 16% to 40%, due to a range of factors in which stress and psychiatric issues are significant." Besides the big range of emotions experienced and the possibility of mental health issues, many host countries come with physical dangers and threats. Weather is often very different and possibly at times even dangerous. Personal safety can be an issue in some locations. Infrastructure challenges, local economic divides and political upheaval can create challenging local and social situations. And, the standard and availability of healthcare options may be quite different, where quality of care can have a big impact on the expats ability to seek and obtain support. These are all ideas that tie back to the concept of "duty of care." Lee Quane, Asia director at ECA International finalizes, "Knowing where, when, and why air pollution happens would help mobility managers advise staff on the risks and precautions to take." Check out this Plus white paper to further consider, How to Keep Relocating Employees Safe. 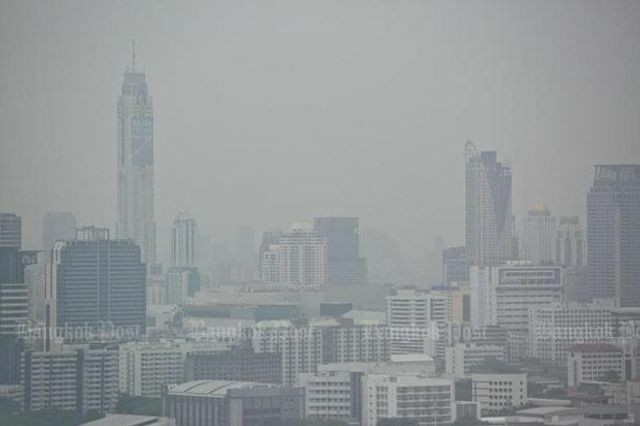 Mobility managers should ensure air purifiers and filters in assigned employees' offices and homes are serviced in time for haze season. Draught excluders and protective face masks should also be provided for employees, said Mr Quane. Mobility managers should also invest in high-quality products that offer maximum protection and safeguard users from pollutants. Mobility managers have a responsibility to inform employees of potential risks, including air pollution and consequential health risks prior to an assignment.